Syrian warplanes pounded rebel targets in two northern provinces on Thursday as President Bashar Assad's troops pushed on with an offensive to reclaim more territory from the opposition. The strikes came against the backdrop of a new, joint U.S.-Russia effort to bring the sides in the 26-month-long conflict to the negotiating table. In the first official Syrian reaction to the initiative, Syria's Foreign Ministry said it welcomes the step that could lead to a "national dialogue." In Israel, security officials said Thursday they have asked Russia to cancel the imminent sale of an advanced air defense system to Syria. The officials said Israel shared information with the United States in hopes of persuading Russia to halt the planned deal to provide S-300 anti-aircraft missiles. Disclosing the deal, the Israeli officials spoke on condition of anonymity because they were not authorized to brief reporters. The Britain-based Syrian Observatory for Human Rights said Assad's air force was shelling rebel positions in Aleppo and Idlib on Thursday. The group said regime planes were hitting rebels near the Mannagh military air base outside the northern city of Aleppo, the provincial capital. The rebels stormed the base, which lies near the border with Turkey, and captured parts of it on Sunday but were later forced to retreat in the face of regime's superior air power. 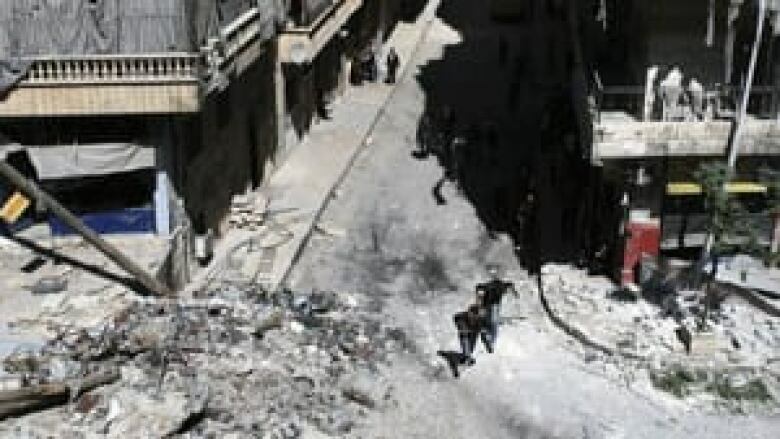 In neighboring Idlib province, heavy clashes were underway Thursday outside several army bases near the government-controlled provincial capital, said the Observatory, which relies on a network of informants inside Syria. In Damascus, the state-run SANA news agency said government troops regained control of one more village and some land near the country's border with Lebanon on Thursday. The agency claimed Assad's troops inflicted heavy losses on the rebels in Aleppo and Idlib. In the past months, the rebels have captured large swaths of land in the north and northeast, including the entire city of Raqqa and several neighborhoods inside Aleppo, Syria largest urban center and its main commercial hub. Syria will supply "game-changing" weapons to Hezbollah, the chief of the Lebanese militia said Thursday, just days after Israeli airstrikes on Damascus targeted what Israel said were shipments of advanced Iranian weapons possibly bound for the group. Israel has largely tried to stay out of Syria's 26-month-old conflict. It never acknowledged the airstrikes, but Israeli officials have signaled Israel's air force would strike against any shipments of strategic missiles that might be bound for Hezbollah. Israeli officials said the Lebanese militia has tens of thousands of rockets, but that most of them are unguided. Israeli officials said the shipments targeted twice last week included precision-guided missiles. Israel and Hezbollah fought repeatedly, including in a month-long war in 2006. During that war, Hezbollah fired thousands of rockets at Israel. 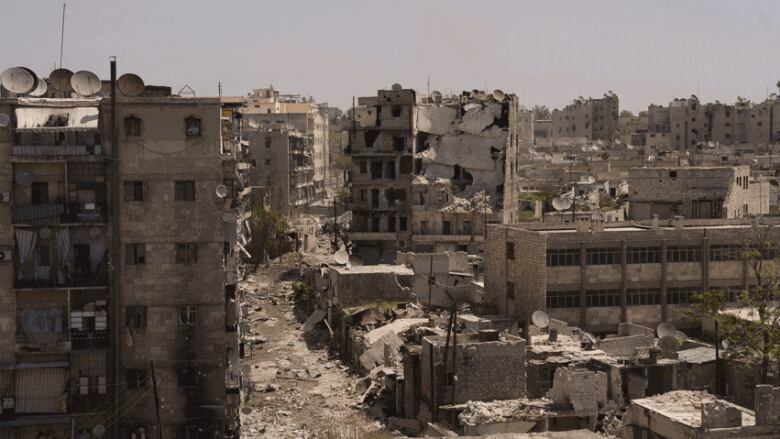 But the opposition fighters have struggled to hold on to the territory, frequently complaining to their Western backers that their weapons are no match for Assad's weapons arsenal. Assad has relied heavily on his air power to reverse rebel gains and to prevent the opposition from setting up a rival government in their northern strongholds. The Obama administration has said it is considering providing weapons to vetted units in the armed opposition, following the recent revelation of a U.S. intelligence assessment suggesting the Assad regime used chemical weapons. But the U.S. maintains deep reservations about providing direct military assistance to the rebels for fear that advance weapons would end up in the hands of al-Qaeda-linked groups that have been the most effective fighting force on the opposition's side. U.S. Secretary of State John Kerry is expected to announce a new aid package of $100 million to Syrian opposition, U.S. officials said Wednesday, speaking on condition of anonymity because they were not authorized to speak publicly on the matter ahead of Kerry's announcement in Rome later Thursday. The money is for humanitarian purposes only and not linked to any decision on arming Syrian rebels. Washington is looking for ways to halt the conflict, which has killed more than 70,000 people since the revolt erupted in March 2011. On Tuesday, Kerry and Russian Foreign Minister Sergey Lavrov announced in Moscow that they will convene an international conference on Syria with the goal of corralling Assad's government and opposition representatives into peace talks. Their initiative is identical to a plan, set out in Geneva last year, to bring the Damascus regime and opposition representatives together for talks on an interim government. Each side would be allowed to veto candidates it finds unacceptable. The Geneva proposal also called for an open-ended cease-fire and the formation of a transitional government to run the country until new elections can be held. Even the most modest international efforts to halt the fighting have failed as neither side in the Syrian civil war has embraced dialogue, which underlines their resolve to prevail on the battlefield. The main Western-backed opposition group, the Syrian National Coalition, said Wednesday it welcomes the U.S.-Russia effort to reach a political solution but that any transition must begin with the departure of Assad and officials in his regime. Syrian officials have said that Assad will stay in his post until his seven-year term ends next year, and that he will run for re-election. Syrian Information Minister Omran al-Zoubi said on Thursday that the government is willing to consider any proposals for a political solution of the conflict while it retains the right to fight "terrorists," the regime's term for the opposition fighters and their supporters. Al-Zoubi did not specifically mention the U.S.-Russian initiative in his brief remarks to reporters in Damascus. The comments were carried by SANA. In Lebanon, a senior security official said several rockets landed Thursday on Lebanese territory, the latest incident of Syria's conflict spilling over the country's volatile borders. The official spoke on condition of anonymity in line with state regulations. There were no reports of casualties in the incident in the northwestern Lebanese town of Harmel. Meanwhile, Turkey's state-run agency said the country has stationed a team of eight experts to screen injured Syrians at the border to ensure they are not victims of any chemical attack. The Anadolu Agency said a chemical, biological, radiological and nuclear defense vehicle, manned by the team, has been deployed at the main Cilvegozu border crossing with Syria. The team would examine Syrians for signs of chemical agents before sending them to nearby hospitals for treatment, the agency reported Thursday. Officials in Damascus deny claims the Assad regime has used chemical weapons. The rebels also deny allegations they used chemical weapons.